While on the surface WOW JAMS were created to meet the immediate needs of individuals in the communities around the world by providing meals, bike repairs, groceries, haircuts connections to community resources, resume preparation and more; our biggest focus is to bring the message of the Gospel in a tangible way to those who are so desperately searching for Christ’s love and acceptance. The most vital component of our strategy is the follow-up and house visits in the following days of each event, which are implemented by the churches, community organizations, volunteers and city officials from the community. What makes WOW JAM events so successful is not just our ability to mobilize thousands of volunteers or have tens of thousands of people attend events; it’s actually the detailed training workers receive serving at the event and follow-up strategies created by WOW International for local churches, community organizations, businesses and city officials to continue building relationships. WOW JAMS create lasting change, leaving an impact for generations to come. 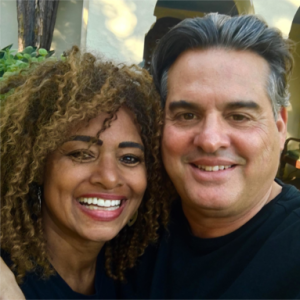 Over 25 years ago, a dream was placed into the hearts of Stephen and Linda Tavani to unite local communities, churches and business to reach the lost and broken right where they live and work. Together, Stephen and Linda Tavani bring a fresh and creative approach to urban evangelism and ministry that benefits not only the lost and broken but the church at large. Through innovative and practical training, Stephen and Linda use their 25 years of experience to build relationships with local churches after each WOW JAM – helping them navigate the influx of new believers. Stephen, a graduate of Wheaton College is a successful songwriter and producer working with talents such as Smokey Robinson. His career led him to meet his wife Linda “Peaches” Tavani from the multi-platinum group “Peaches and Herb” know for their smash hit “Reunited”. Linda’s phenomenal voice paired with her distinct magnetism compliments Stephen’s powerful voice and preaching. Their Gospel albums have been played on radio stations and landed at the top of charts all over the world, touching thousands of lives through music.